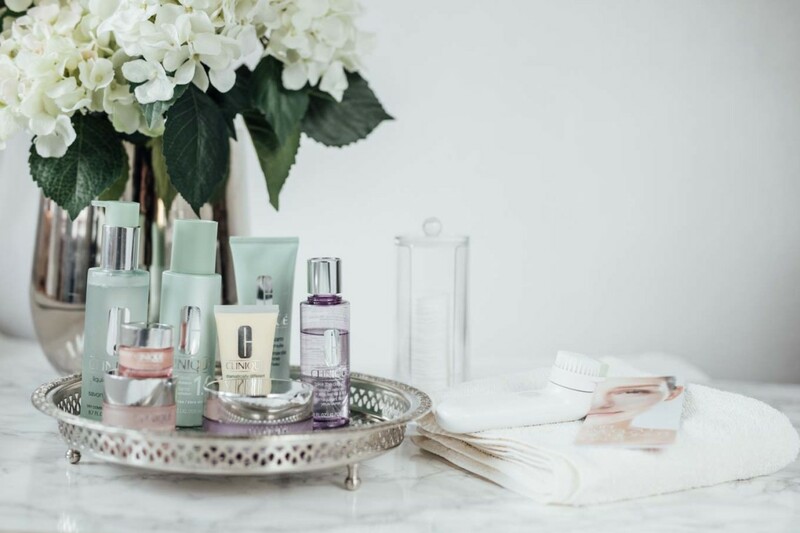 Beauty: My Skin Care Routine with Clinique - The secret to beautiful skin. 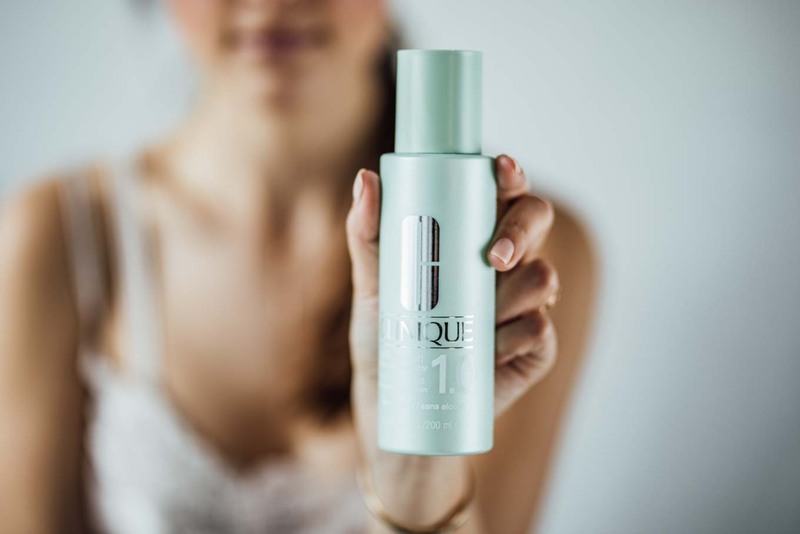 I guess most of us women are facing the same problem: We are reading about various products on blogs and in magazines, and curious as we are, we want to try them all. That’s exactly what I did… I ended up having three different moisturizers for the day, various over-night face masks, toners, scrubs and cleansers that I used on a regular basis. Thinking that I did my skin a big favor with all these products, I got really frustrated because exactly the opposite was the case: My skin got super sensitive and irritated and I had more blemishes than ever before. I’ve received a lot of questions regarding my skin care routine and about my secret to “flawless” skin. Although I did feel very humbled by the fact that my skin appears to be flawless to some of you, I have to make this clear right away: My skin was not always like that. The real secret to having a glowing appearance lies beneath it all: It starts with great skin. 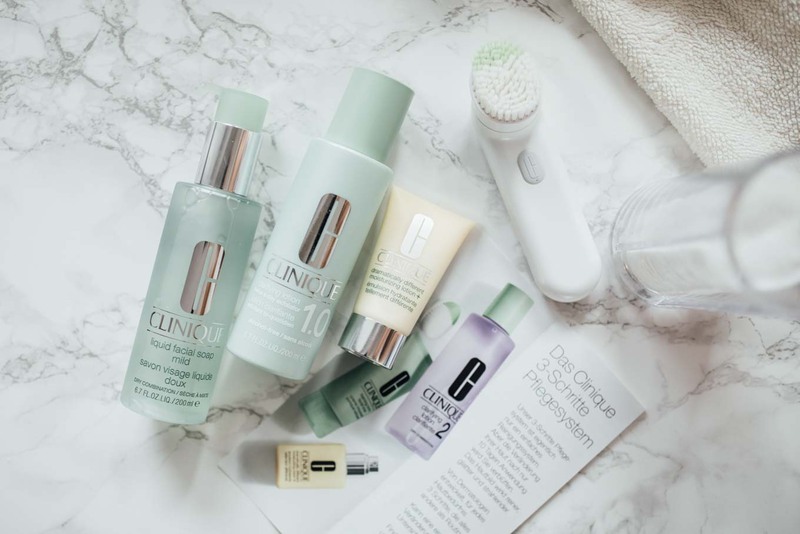 So today I’m going to tell you everything about my skin care routine and my experience with the Clinique 3-Step Skin Care System. Truth is, my skin got so bad that I ended up making an appointment at a dermatologist to see what’s wrong. After carefully examining my skin the doctor was able to tell me the result of my irritated skin quite quickly. Diagnosis: Wrong skin care products used too excessively. I was sent home with the advice of reducing my skin care products to the essentials and to have my skin analyzed in order to find out what skin care products are right for my skin type. Immediately sorting out my bathroom cabinet, Clinique stepped in and offered to analyze my skin and find the right products for me. This was a very lucky coincidence, especially because my personal history with Clinique is dating back to my teenage years, when my Mom first gave me some of her products to try. Long story short: Clinique invited me to an in-depth seminar where I learned everything about the history of Clinique and where also my skin was analyzed and my skin type got defined. Afterwards, I was given the iconic 3-Step Skin Care System that fits the needs of my skin. 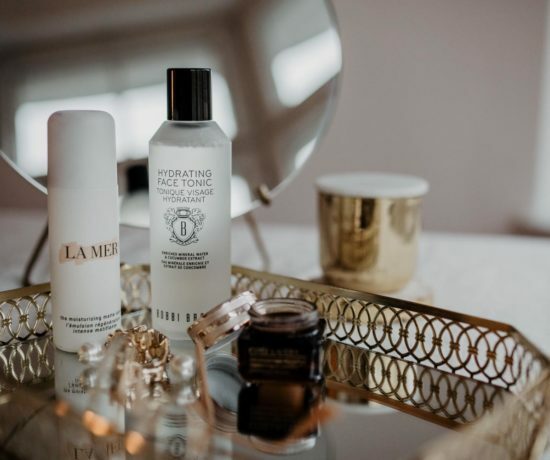 As I am writing this today, I can honestly say that my skin is the best it’s ever been after only 14 days of being fully committed to the simple 3-Step routine. 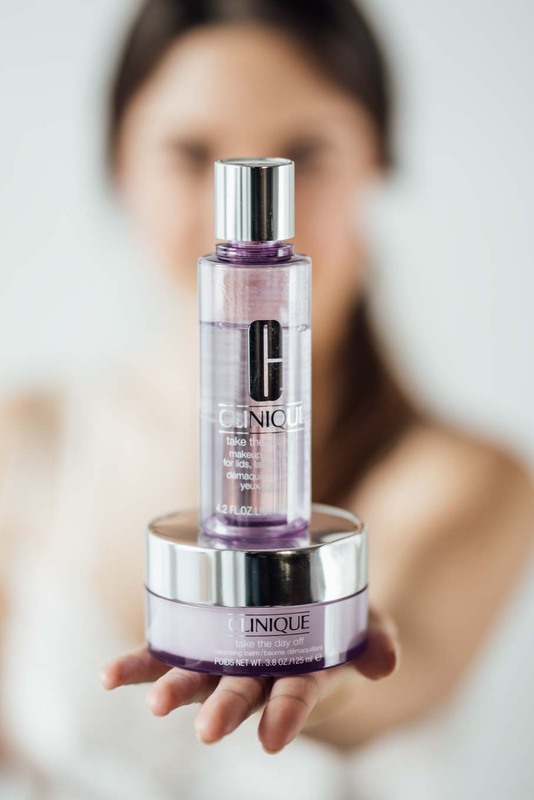 According to Dr. Norman Orentreich, Clinique’s founding dermatologist, there are four different skin types: Very Dry to Dry (Skin Type 1), Dry Combination (Skin Type 2), Combination Oily (Skin Type 3) and Oily (Skin Type 4). For all my life I had rather dry skin and therefore thought I need to use as much moisturizer as possible. Turned out, I am Skin Type 1 and do have very dry skin, which means my skin does not only need moisturizer on a gel basis, but richer substances to keep it hydrated. Also, the toners I have been using were way too strong for me, which resulted in even drier skin. Once I started using the 3-Step regimen for Skin Type 1, my skin finally was perfectly nourished again and started to feel comfortable. Skin can only absorb all the caring nutrients if it’s prepared for it. First of all, this means that removing the make-up is a must. Clinique told me everything about the double cleansing method, which is simply removing your make-up first and then continuing with a gentle face wash. Up until then, I always thought the facial soap would be the product to remove my make-up. 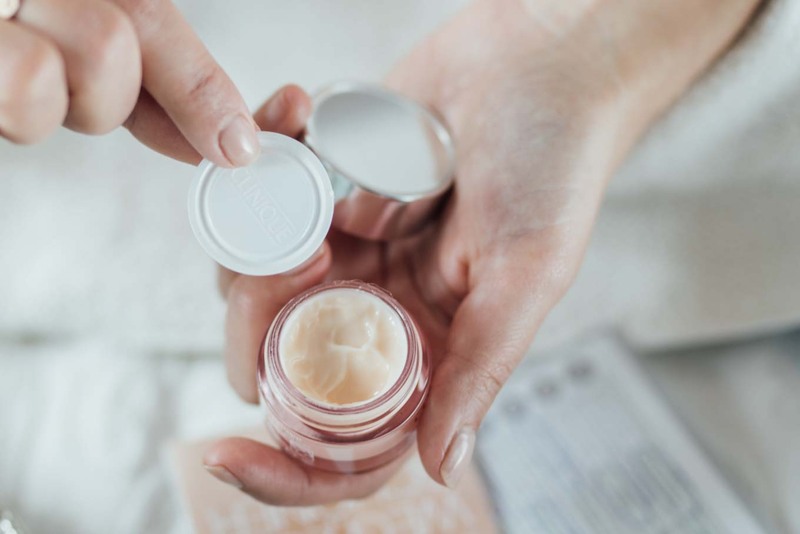 I was introduced to the Take The Day Off Cleansing Balm, which is a lightweight make-up remover that transforms from a solid balm into a silky oil upon application. It makes sure your skin is thoroughly clean and paves the way for the 1st step of the 3-Step routine: The Liquid Facial Soap. It’s designed to remove dirt and oil, and raises the pH level of your skin. For my skin type, I use the Liquid Facial Soap Extra Mild, which cleans very gently, rinses easily and leaves behind nothing but clean skin. After cleansing, my skin feels so comfortable, I don’t even feel the need for moisturizer anymore. Clinique’s experts told me that this is the best sign that I’m using the right formula for my needs. During the skin seminar I learned that healthy skin naturally renews itself every 28-30 days. As we get older, our skin appreciates a little help keeping up with the pace of skin renewal. And this is the magic of Step-2: Exfoliation. By exfoliating on a regular basis we help to increase cell turnover and reveal newer, better-looking skin. “Exfoliation is like exercise; it’s safer to follow a custom fit, moderate program on a regular basis, than to overdo it randomly,” says Clinique guiding dermatologist Dr. David Orentreich. 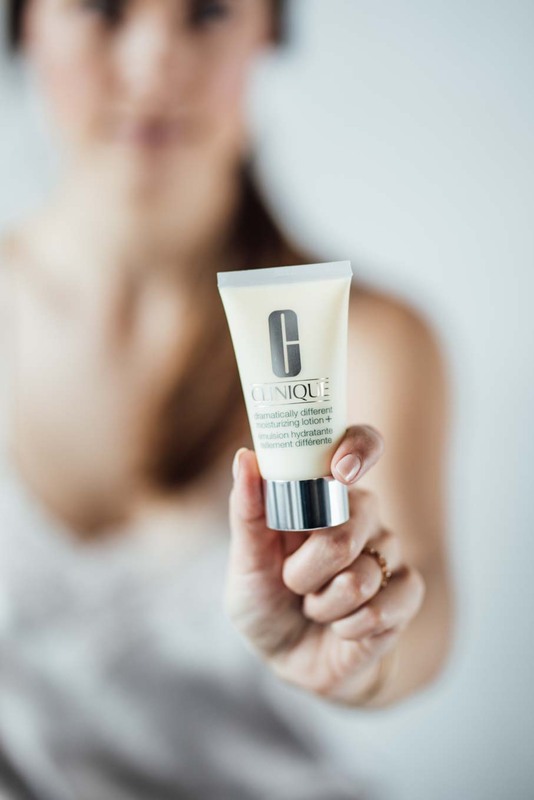 “It’s better to exfoliate twice a day using mild or moderate exfoliation than to exfoliate once a week with an extremely harsh process.” That’s the point of Clinique’s Clarifying Lotion, which was created to be used twice a day to gently sweep away dead surface cells that make skin look dull, rough and flaky, keeping blemishes at bay without any irritation or drying. There’s a Clarifying Lotion for all four skin types, the difference among them being the strength of the exfoliation. I’ve been using the Clarifying Lotion since I was a teenager. However, I didn’t know I was using the wrong formula for my skin type. The lotion I was using was way too strong for my sensitive skin, which made my skin even drier as a result. Now I’m using the Clarifying Lotion 1.0, which is an alcohol-free formula that helps to reveal fresher skin. It’s the mildest lotion in the range for very senstive skin like mine. Its non-drying leaves the skin radiant and ready for the last of the 3 steps. STEP 3 – Moisturize, moisturize, moisturize. My skin always used to be rather dry, so I guess as a natural instinct I always craved moisturizers. The only problem I had again was my lack of knowledge. I did use various moisturizers, but all of them on a very gel-like basis. During my skin analysis, I found out that the texture of the moisturizers I used were simply not rich enough for my skin. 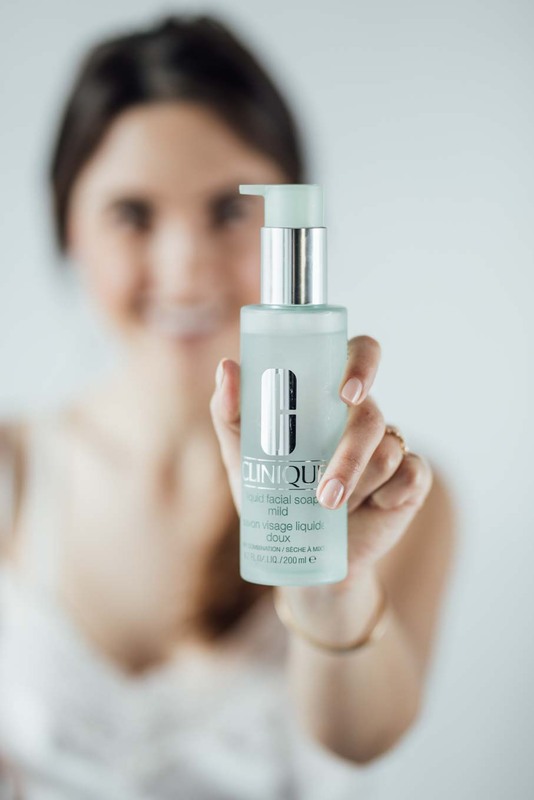 All of the Dramatically Different Moisturizers restore lost moisture by duplicating the exact oil and water balance that naturally occurs in healthy skin, so you receive the perfect amount of both. It also helps strengthen your skin’s moisture barrier for better moisture retention and all around plumpness. For my skin type, I was recommended to use the Dramatically Different Moisturizing Lotion+. Applied after exfoliating the skin, this lotion is absorbed instantly and helps strengthen the skin’s own moisture barrier by 54%, so more moisture stays in — it’s also the perfect make-up prep step. 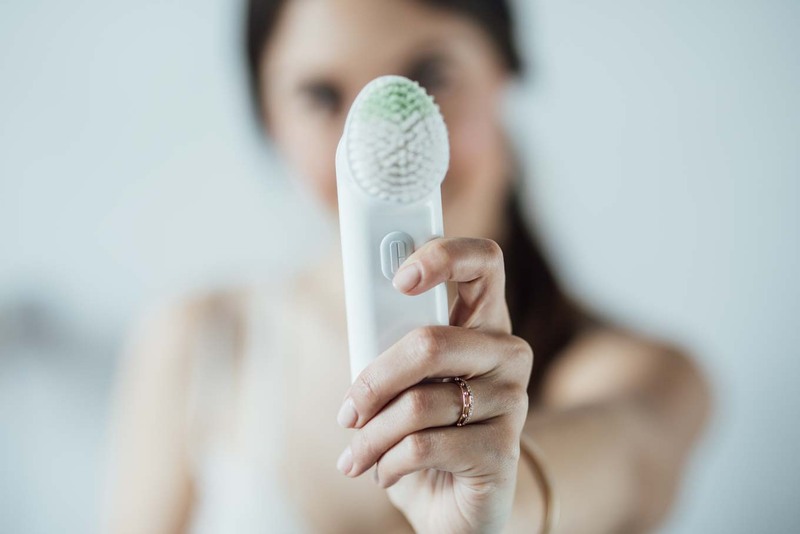 The Clinique Sonic System Purifying Cleansing Brush was developed by dermatologists to make the 3-Step Skin Care routine even more effective. The brush is taken for Step 1 to apply the Liquid Facial Soap in circular movements evenly on the face. It only takes 30 seconds – 5 seconds each on the forehead, nose and chin, and 15 seconds on the cheeks. The moisturizer sinks in even better after using the Sonic Cleansing Brush and the skin feels as soft as it ever has. I didn’t believe it myself before I tried it, but the difference it makes is tremendous. Hello delicate skin! Especially in winter, I often feel like my skin needs some extra help staying smooth and plump. Therefore I like using the Moisture Surge Intense Skin Fortifying Hydrator after applying the moisturizer in Step 3. Its rich, oil-free cream-gel plumps the skin for 24-hours and instantly rehydrates it. It is absorbed quickly and gives the face a satin like finish. It is super easy to apply the foundation on top of it, and I love how it makes my skin feel smooth for the whole day. Last, but definitely not least, one of my favorite little cream jars is the All About Eyes cream. It’s a lightweight eye cream that diminishes the appearance of puffs and under eye circles in the morning. It also helps to hold eye make-up in place. Additionally, it reduces fine lines around the eyes. Nice side effect, since we’re all not getting younger, right? As mentioned before, I have been using various skin care products throughout the years already. The skin seminar as well as the two weeks of using Clinique products now, have shown me that I have not only just used the wrong products for my skin type, but also totally used them in a wrong way. I now understand that it’s not about the sheer number of products you use, but how they all work together. 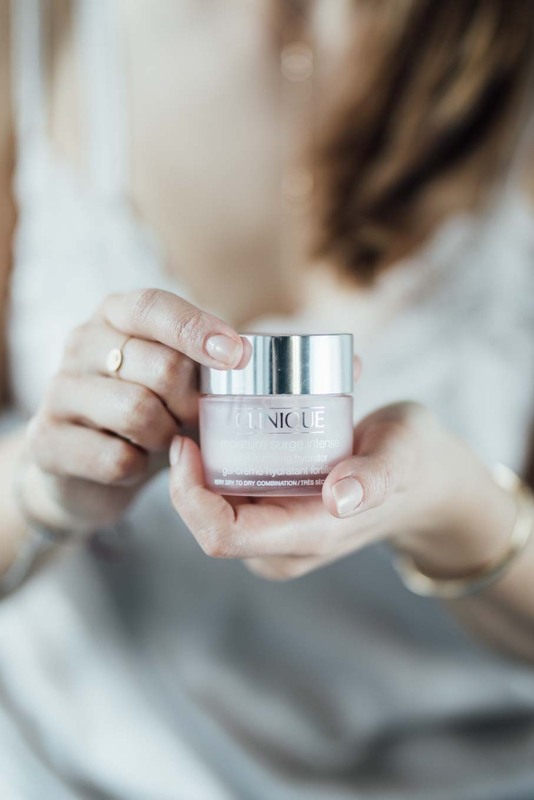 Each of the steps in the 3-Step Skin Care System is specially formulated to optimize one another—and the best results happen when you use them all together. I was able to notice a boosted glow in my skin after the first two days of starting 3-Step – now after two weeks other people start noticing it too. All the blemishes I had are starting to disappear, the blackheads on my nose are barely noticeable, my skin looks a lot fresher, feels softer and it just looks healthy. If I wasn’t that pale right now, there would basically be no need to even wear a foundation. Oh ja, das wär toll! Clinique find ich super! dass sich Clinique preislich eher im oberen Sektor der Hautpflege Produkte befindet, stimmt natürlich. Aber wie du schon sagst – gute Qualität hat in dieser Hinsicht seinen Preis. Ich kann dein Argument aber super verstehen, dass du sagst, dass es dir zu teuer ist. Ich kann aber ehrlich sagen, dass die Clinique Produkte extrem sparsam angewendet werden und man somit wirklich lange damit auskommt. Man braucht nur ganz wenig von den Produkten zu nehmen, und hat trotzdem die volle Wirksamkeit. Was ich meistens mache ist einfach Aktion von Douglas oder Marionnaud abzuwarten. Dort gibt es des Öfteren Aktionen, bei denen man -20% auf den gesamten Einkauf bekommt, oder manchmal gibt es auch Aktionen bei denen man beim Kauf von 2 Produkten ein 3. dazu bekommt. So zahlt es sich dann wirklich aus. Und mann muss ja auch nicht direkt mit der ganzen Produktlinie starten – du könntest ja z.B. einfach mal das 3-Schritte Pflegesystem ausprobieren, und wenn du merkst, dass es dir gut tut, könntest du kleinweise die weiteren Produkte wie z.B. die Augencreme dazu kaufen. Ich habe schon einmal eine kleine Probe von diesem System verwendet, allerdings hatte ich damals nicht das Gefühl, dass es gut für meine Haut wäre… Jetzt denke ich aber, dass ich wahrscheinlich einfach ein Set für den falschen Hauttyp verwendet habe? Ich würde mich sehr über eine Haut-Analyse freuen! Habe zwar schon einige Produktlinien getestet, dies führte aber immer nur zu kurz- bzw. mittelfristigen Erfolgen und im Endeffekt wurde meine Haut zu “überpflegt”. Daher wäre so eine Haut-Analyse mal super, um festzustellen was meine Haut eigentlich wirklich braucht. 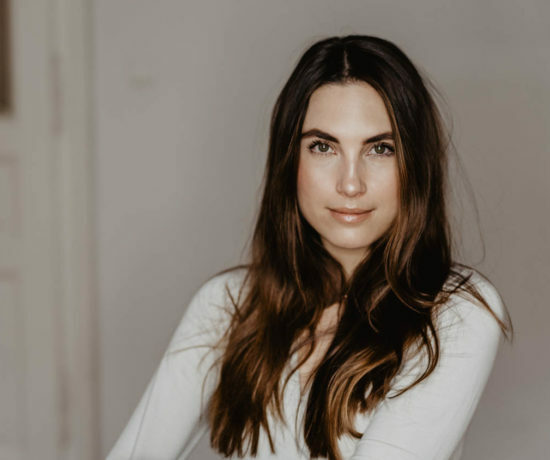 Wow Nina – wirklich ein toller, informativer Post! Mir kommt vor, dass jede Frau im Laufe ihres Lebens mal so eine Phase hat, in der sie sehr mit ihrer Haut zu kämpfen hat. Oh ja , ich würde nur allzu gerne wissen, welchem Hauttyp ich wirklich entspreche. Habe auch schon viel ausprobiert, aber was hilft es, wenn man nicht weiß, was die eigene Haut wirklich braucht!! Und Clinique ist sowie so eine ganz tolle Marke 😀 Wäre ein super Gewinn!! ich liebäugle schon sehr lange mit dem 3 Phasen system. Es klingt einfach sehr gut, da alles aufeinander abgestimmt ist. Das hat man ja sonst nicht so wie bei Clinique. Ich benutze schon seit laaaanger Zeit Nivea, komme damit auch gut klar, aber habe einfach nicht die Haut, die ich evtl haben könnte. Habe mit 25 immernoch kleine Pickelchen und einfach keine wirklich glatte Haut. Nur möchte ich auch nicht einfach etwas kaufen und am Ende wirkt es nicht und man hat sehr viel Geld dafür ausgegeben. Auch wenn die Produkte auf die einzelnen Hauttypen abgestimmt sind, muss es ja nicht gleich bei jeder Person gleich funktionieren. Bist du also wirklich zu 100% davon überzeugt? Ich würde natürlich auch meine Haut vorher einmal testen und analysieren lassen. Denn auch wenn es viel Geld ist, wenn ich weiß es bringt was und tut mir gut, dann würde ich das auch investieren. man gibt so viel Geld für unnötige Dinge aus. Und grade Skincare sollte nicht die Sache sein, bei der man extrem geizig ist. Ich kann dir aus vollster Überzeugung sagen, dass ich die Clinique Produkte wirklich liebe, täglich verwende, und sie für mich perfekt funktionieren. Mein Tipp, den ich jetzt auch all meinen Freundinnen gegeben habe: Geh am besten mal zu Douglas oder Marionnaud (wenn du die Möglichkeit hast, in einen der einen eigenen Clinique Counter hat) und lass dich von einem Clinique Mitarbeiter beraten, in dem du zuerst mal deinen Hauttyp und dein Hautbedürfnis feststellst. 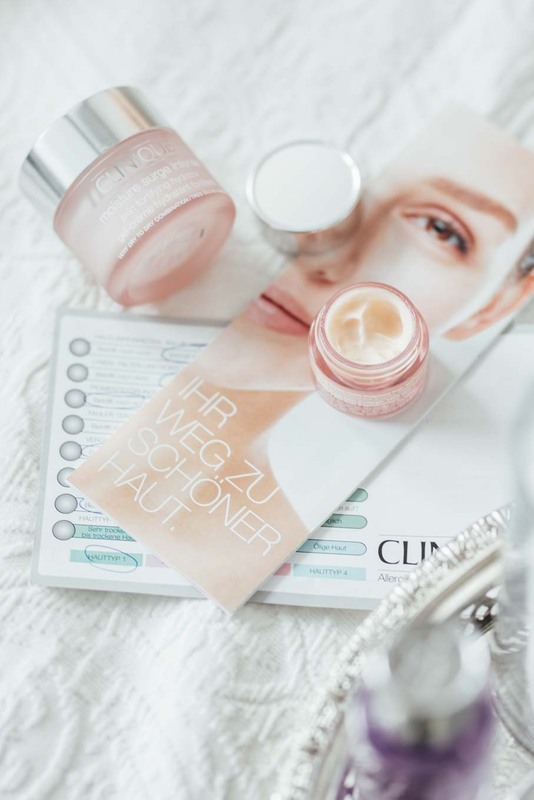 Daraufhin abgestimmt berät dich Clinique dann, welche Produkte die richtigen für dich sind. Es gibt von dem 3-Schritte Pflegesystem das sogenannte “Starter Set”, bei dem du die Liquid Soap, die Clarifying Lotion und die DDML (Dramatically Different Moisturizing Lotion) in etwas kleineren Größen zum Probieren kaufen kannst. Diese Sets kosten so um die 27€, und man kommt damit mindestens 2-3 Wochen aus. In dieser Zeit kannst du dir dann ein Bild machen, ob die Produkte für dich funktionieren. Meiner Meinung nach sind diese 27€ echt gut investiertes Geld, und wenn du nach der Testzeit drauf kommen solltest, dass die Produkte nichts für dich sind, hast du kein Vermögen ausgegeben. Der wichtigste Schritt ist aber auf jeden Fall, dass du dich zuerst genau beraten lässt, welche Produkte die richtigen für dich sind. Ich trau mich fast zu sagen, dass du bereits nach einer Woche mit Clinique einen großen Unterschied in deinem Hautbild feststellen wirst. Falls du noch weitere Fragen diesbezüglich hast, kannst du mir jederzeit gerne schreiben. Das klingt gut. Ich denke nur immer meine Haut (auch wenn die nicht besonders sensibel auf Veränderungen reagiert) braucht länger um sich auf etwas einzustellen und zu verändern. Aber wenn du auch sagst du hast eine Veränderung sehr schnell gemerkt probiere ich das vielleicht nochmal aus:). Übrigens ganz toller Blog. Bin durch Zufall drauf gestoßen;). Ich werde bestimmt mal öfter vorbeischauen:). I am having a hard type finding my skin type. I bought the Clinique three step in in #2 and I still feel very oily. I am not sure if I bought the correct type of skin care line. I used Clinique as a teenager and probably should have never stopped but I am in my early 40s now and need desperately to find the fit and help with knowing what will work best for me!! Please help!!! 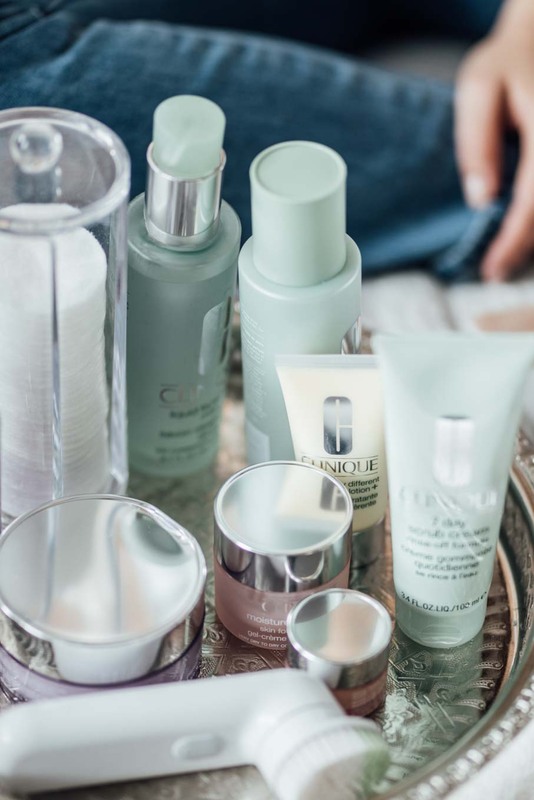 the best advice I can give you is to make an appointment at a Clinique counter with one of their brand specialists and have your skin type determined. That’s what I did in the first place to find out which products are most suitable for me.